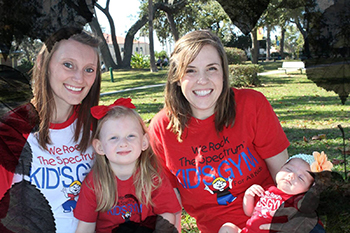 Tuesday on “First Coast Connect,” Lea Wells from We Rock The Spectrum told us about her gym that caters to special needs children. It’s a new gymnasium that caters to special needs children. We Rock The Spectrum opened this past weekend on Philips Avenue near Shad Road. It includes equipment from swings to trampolines. Listen to the segment below!